If you’re like me, searching for a quality, functioning NES or other system from the glory days of video gaming can be tough and time consuming. Sure, I’d love to have an out-of-the-box quality NES console for my living room, but unless money is no object, acquiring one can ultimately come down to the luck of the draw. I’ve had my luck with holdover consoles that more or less functioned as designed, but one can only stand so much of the blue or grey screen and game freezes. I ended up ordering one of the Retro Bit systems online recently, and took delivery of it a couple of days ago. I have a lot to say about this one, but prior to the nuts and bolts of the matter, let’s take a look at how these systems came to be. With most of the major video game manufacturers of the 80’s and 90’s allowing the patents for their consoles expire in recent years, we’ve seen a slew of independent companies releasing their versions of the old consoles we all love. Most of these are seemingly done by ‘fly by night’ companies, and it’s often difficult to tell the good from the bad. Sega, for it’s part, seems to have recently made efforts to get a handle on this phenomenon by producing their own retro systems, re-releasing the Genesis, as well as a portable version of the Genesis/Game Gear under their own name. 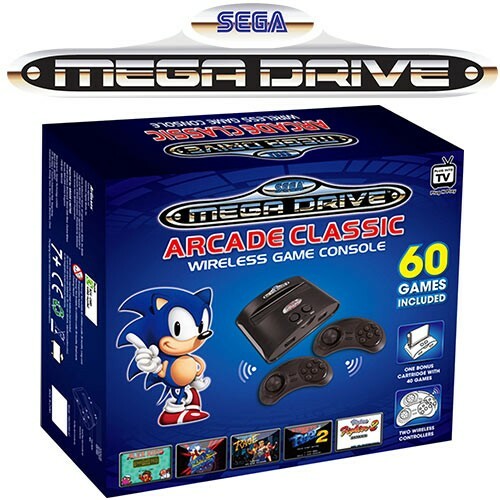 Often the Sega systems have upwards of twenty games built into the console, with support for the original controllers and other accessories allowed as well. Nintendo, on the other hand, hasn’t made an attempt to stem the tide of these ‘bootleg’ systems, and maybe they should, once more market data from Sega’s efforts come available. 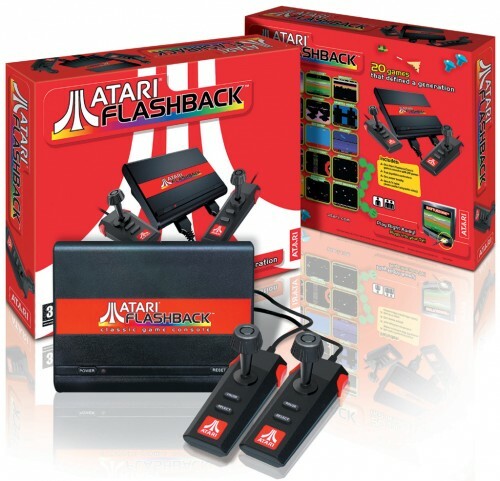 Even Atari has found success with widespread releases of the Atari Flashback systems, having released multiple versions of the games that made the Atari 2600 & Atari 7800 successful, with dozens of releases programmed into each console. 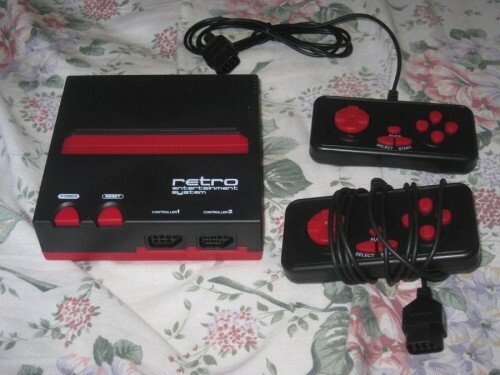 A couple of years ago, I bought one of these so-called ‘Retro Systems’ for my wife as a Christmas gift. It was called something like the “GN Twin.” When we opened it up on Christmas morning, the first thing I noticed was how flimsy the system was. I’m talking cheap plastic that barely seemed to hold the thing together. I swear, I could have ripped it in half with my bare hands. The controllers weren’t anything special either. But like I said, this was my first time and I didn’t know any better. The biggest gripe I had with the system was the controller buttons were wired improperly. The B button was where the A button was supposed to be, meaning I had to press a different button if I wanted Mario to jump. After over 20 years of making Mario jump with the A button, you could see how this was a problem. Also, for some reason, the system was not compatible with Konami games, so Castlevania, Jackal, Goonies and games of that caliber were out of the picture. This probably frustrated me just as much as the improper button placement. Anyways, both controllers broke within a month, and I basically ended up with a cheap plastic paperweight. Like I stated earlier, last week I got tired of fighting my old NES in order to play some games, so I went online in search of a temporary system with which to play my old games. I wasn’t trying to spend a lot of money, and wasn’t expecting too much after my last experience with the knockoff systems. I came across the Retro Entertainment System, by Retro-Bit, which I suppose is the name of the company that produces these things. The price point of $14.99 was good, so I went ahead and rolled the dice. Since I am not yet an Amazon Prime member, the total with shipping came to just under twenty dollars. I waited a few days, and lo and behold, it was on my front door when I got home the other day. My wife and I sat down later that evening in order to test drive this bad boy, and the results are as follows. Let’s start off with the controllers. 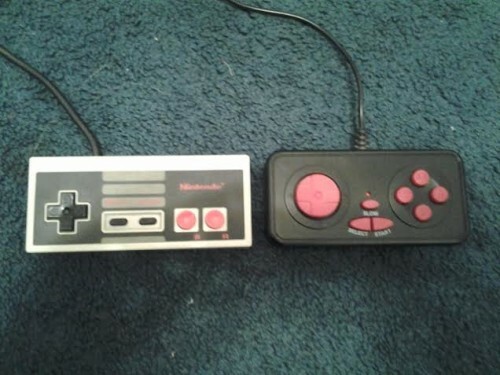 On the right is the pack-in controller, and on the left, obviously, is an actual NES controller. The controllers provided with the system are a bit smaller than what we grew up using; and are also a bit flimsy. What causes the flimsiness is the fact that they apparently constructed of lightweight plastic. The plus side of this is that they are light as a feather. Each controller also has a slow motion feature, which in my opinion, is as useless in this day and age as it was on controllers back in the day. Also featured are turbo A and B buttons, which come in handy if you’re playing something like Track & Field or Life Force, but tend to get in the way on other games where turbo isn’t optimal to the game’s performance. The big thing to note in this department is that the system has traditional controller ports, which make the system compatible with actual NES controllers, as well as the Zapper. Unfortunately, I have no data available pertaining to compatibility with the Power Glove. I realize that may be a deal-breaker for most of you. Next up is the actual console itself. What’s cool is how significantly smaller the RES is compared to the NES. It measures roughly 6×6 inches, and sits only 2 1/2 inches tall. Talk about compact! You could almost consider it to be a portable system, seeing as how it weighs less than the original Game Boy, and isn’t much bigger either. The console is also made of the same lightweight plastic as the controllers. This, I dislike, because the lack of sturdiness makes me believe that it won’t survive the first fall from a table onto a hard surface. Also, like many of the other NES clones that I’ve messed with, the games fit snugly…too snugly. Seriously, you have to put some serious elbow grease into removing games from the console when you’re finished with them. 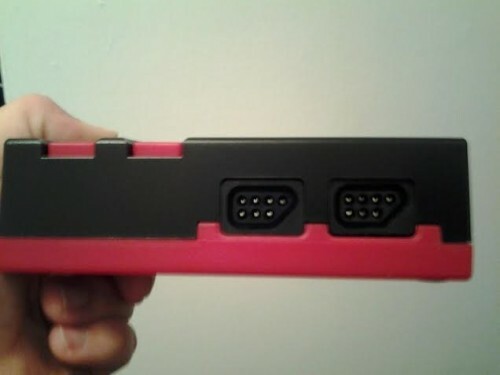 This is good in a way, because it ensures a perfect pin connection, thus eliminating the grey or blue screen we became all too familiar with on the original NES. The bad news is, you have to make sure to pull the games straight up and out to avoid damaging the system and/or your cartridge. The final area we are going to talk about today is software compatibility. The GN Twin that I spoke on earlier had the issue of not wanting to play Konami games. This proved to be untrue on the RES, for the most part. When I put in Castlevania II:Simon’s Quest, the game worked, but for some reason the bass in the audio was WAY up, making the TV’s speakers rattle like your headphones used to do when the bass boost was turned up too high. This was very annoying, to the point where I didn’t want to play the game. Unfortunately, Castlevania III: Dracula’s curse, failed to function properly at all. In my research, I found this to be a problem with all of the retro systems on the market, due to a specific type of lockout device in the game itself. That being said, I can’t give the RES a bad mark due to the fact that the issue isn’t specific to the RES. I also experienced problems with Battletoads and Afterburner, with the game crashing at odd times. The rest of the Konami library played properly without incident. I found that as long as all my NES cartridges were clean, they played just fine. Also, on the back of the box for the RES there are a slew of instructions and text in various European languages; this led me to believe the system is also PAL compatible. However, not having any PAL cartridges, I was not able to actually test this theory, although from what I’ve read online, the system is, in fact, PAL compatible. So, yay for New Ghostbusters II. Feel free to email me if this isn’t true, please. So what’s the final verdict on the Retro Entertainment System? Aside from the flimsy construction, I don’t have much bad to say about it. 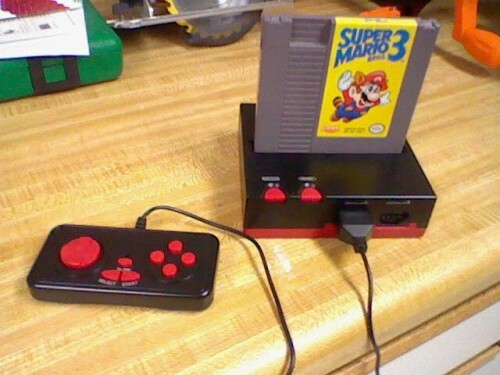 For less than $20, you can’t beat it, especially as long as you have your own NES controllers. The system is easy to pack in a bag with some clothes if you’re on the road, and it’s fun as hell to take it over to a friend’s house and let youngsters play the old games with minimal setup. If you’re searching for a way to play that dusty old box of NES games in the attic, or are looking for something to play on until you find that NES-101 you’ve been looking for, I highly recommend the Retro Entertainment System. After all, it’s cheaper than a six pack of beer and a pizza. And that’s saying a lot. I am a full time Firefighter/EMT living in the United States. In my spare time, I split my time between modern games on my Xbox and the rich universe of the systems we all grew up with. This console works perfectly fine with the Everdrive N8, which is a flash card-based cartridge that allows you to play any NES/Famicom game via roms loaded onto an SD card. 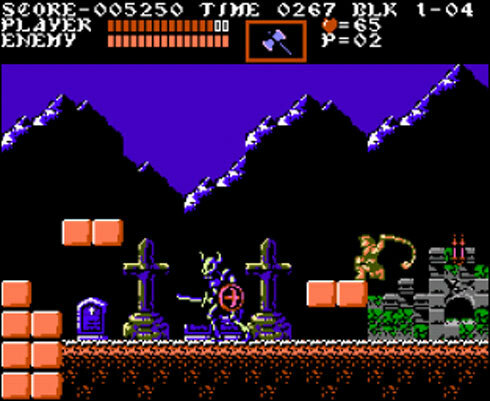 Games like Castlevania III and the Japanese-enhanced version of Contra loaded and played just fine from the Everdrive. I also briefly tried out a RetroN 1, which could also handle the Everdrive, but its video output suffered from noticeable colour smearing. The Retro Entertainment System showed no signs of smearing. The RES video output looks very similar to a real NES output, albeit with all the composite artifacts still present (i.e. stationary dot crawl and shimmering). I’d highly recommend hooking this up to an old CRT (i.e. tube) TV as the picture quality will look much better than hooking it up to an HDTV. One significant complaint I had was that the audio for many of the games sounded… well… weird. It’s like the audio pitch for certain audio channels was too high or too low, or sounded completely different altogether. This can be distracting at first, but you should be able to get used to it. I can only guess that the audio hardware in this console wasn’t able to emulate the original NES’ audio chip very well (which boggles the mind in this day and age). At any rate, this is a great option for the price (a bit more expensive here in Canada at $25). If you’re looking to dust off those old cartridges and casually get back into some NES gaming in front of an old TV, then this is a good way to go.